An increasing number of people live and work in cities. As a result, livability, sustainability and, recently, circularity have become important themes. To integrate these themes into an existing urban environment requires a transition: citizens, companies, and governments must join forces to develop new ways to collaborate in order to enhance sustainability, circularity, and inclusivity. This leads to socio-economic models of multiple value creation such as a cleaner and healthier city, a livable city, the city as a supplier of raw materials, or an ‘edible’ city. This leads to socio-economic models of multiple value creation such as a cleaner and healthier city, a livable city, the city as a supplier of raw materials, or an ‘edible’ city. 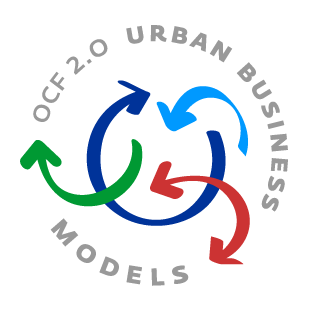 Consequently, we can characterize these models as Urban Business Models (UBMs). Organizing these new value creation models can be observed across Europe. How these models can be organized in a smart, effective way requires opportunities for thought and advancement. On 4 October 2018, teams from all over Europe are invited to join us at the Radboud University in Nijmegen for a one-day seminar. Our aim during this conference is to exchange experiences, share our knowledge, and expand our networks. If you are in charge (or know of) a project that fits this profile, you are invited to apply for participation in the seminar. Please note that there is a limited number of places available. The seminar takes place as part of the Nijmegen European Green Capital 2018 festivities. The Ministry of Foreign Affairs of The Netherlands provides support. It is an initiative of Jan Jonker, Professor Corporate Sustainability at the NSM(RU), specialized in sustainable business modelling and the circular economy. Ms. N. Cornelissens, Nijmegen School of Management, email: SBM2018@fm.ru.nl, T + 31 24 361 16 08, P.O. Box 9108, 6500 HK Nijmegen (NL), Elinor Ostrom Building, Heyendaalseweg 141, Room 2.623, Nijmegen (NL). Deadline for a full application: 1th of september 2018.